RobyHead D1 is a classic Pan/Tilt solution for professional broadcasting, as well as for stationary use in studios, theatres, conference halls and stadiums. The head is specially designed to work with 4K cameras providing 4x3G SDI, 12G SDI and 2xFiber connections for the camera signals. 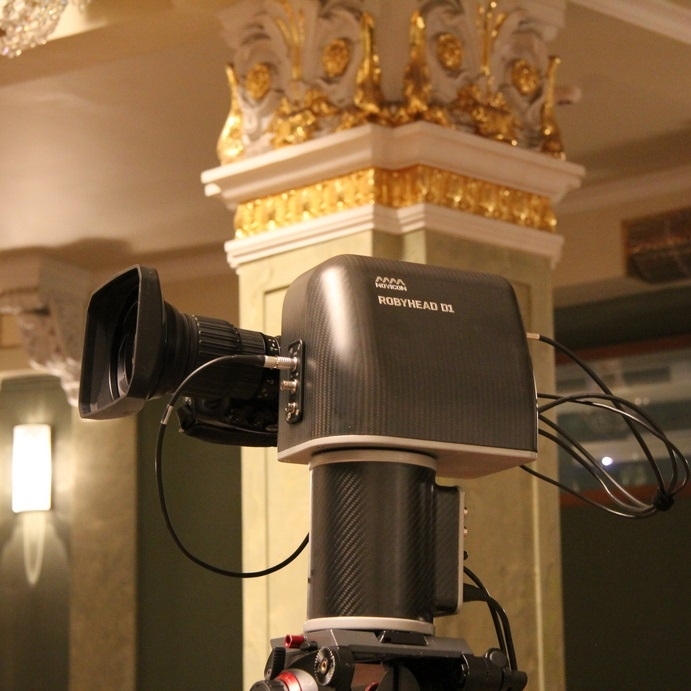 The most typical payload for the head would be a box-size camera, but it has enough power to carry studio cameras and has connections for a prompter at the front. The head has a rigid and stylish carbon-fibre body and provides smooth and precise movements. An integrated power supply simplifies camera connections. RobyHead D1 may be controlled via IP or serial interface, so it can be easily integrated into studio infrastructure or outside broadcast venue and used in remote production. One of the key features of the product is its integration with Panasonic AK-UB300 UHD box-sized camera and Panasonic AW-RP50 and AW-RP120 control panels. 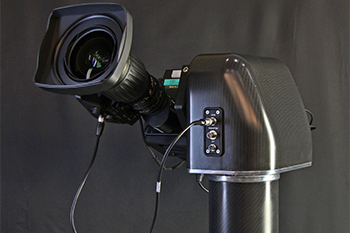 In such configuration, the Robyhead D1 and the camera form a single unit for the control panels, so that the control panel provides full control of the head and image parameters at the same time. This combination allows building a complete HD/UHD multi-camera system controlled by a single (or multiple) operator with reduced costs, as a single control panel may control multiple heads. Panasonic remote control panels may be a part of the system to provide iris and extended camera controls to the video engineers. RobyHead D1 can be easily integrated into modern AR environment. 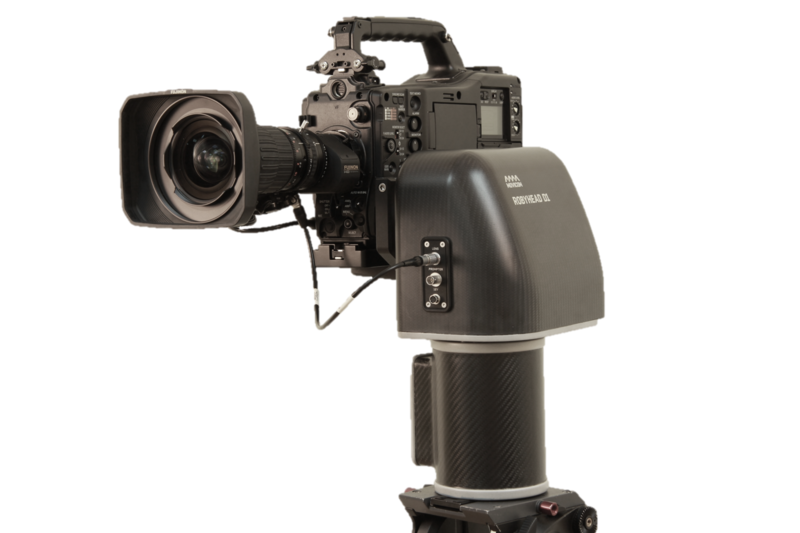 The head contains high-resolution encoders on each axis and supports Canon and Fujinon lenses. Thus, it can output its live tracking data via Ethernet directly to a graphics engine which minimizes graphics setup time. All the major AR solutions vendors are supported. Newly designed 4K-ready pan-tilt Robyhead D1 by Movicom is a perfect companion to the AK-UB300 UHD box-sized camera.